It's tantalizingly close to the moment when our new celebrities hit the dance floor! Which celeb are you looking forward to seeing bask in the glow of the Strictly glitterball? Who will find favour with Len and who will be on the receiving end of Craig's critical eye? Holly: "There was one move I messed up on but I'll make up for it next week"
Lulu: "I knew I screwed up but I just kept going. There's nothing we can do now"
Dan: "I'm a little disappointed to be honest. We made it the best we could"
Robbie: "I just gave it my best shot. I'm not a dancer but I gave my best"
Audley: "OMG...Bring on the latin dance!" Anita: "I loved every minute of that. Bring on next week!" Russell: "A standing ovation! I can't believe it!" 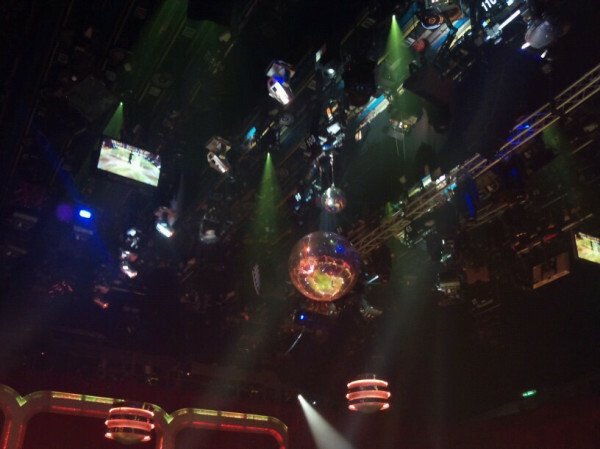 The Strictly machine has started again and the first show is tonight at 9pm on BBC One. Alex Jones and James Jordan were originally scheduled to dance tonight, but they will dance tomorrow instead. Holly Valance and Artem Chigvintsev will dance tonight in their place. The glitterball is ready - are you? It Takes Two needs you! Share your Strictly thoughts with the nation by leaving a message on our fabulous new viewer comment line - 09011 98 66 22. * We'll use the best ones in our brand new feature Points of You. Full terms and conditions are here. Before you get going here's a backstage message from It Takes Two presenter and Strictly superfan Zoe Ball! We're coming to the end of our EXCLUSIVE teaser trailers. This trailer will air on Friday 30th September on BBC One and it features the wonderous Welshman, Robbie Savage! 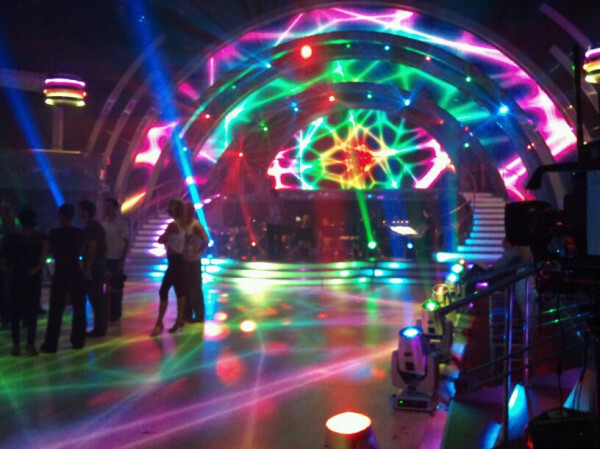 The stage is set, the sequins are sparkling and the celebs have their spray-tans at the ready. What more could you need for tomorrow night's action packed show? Well how about downloading this 'cut out and keep' Dancers Card? Print it out, choose a celebrity and play along at home or in your office. Click on this link to download the Strictly Dancers Card! Tune in for our first two shows, tomorrow at 9pm and Saturday at 6pm on BBC One. Well, we've got ONE day before Strictly gets going and we've got a double treat for you! 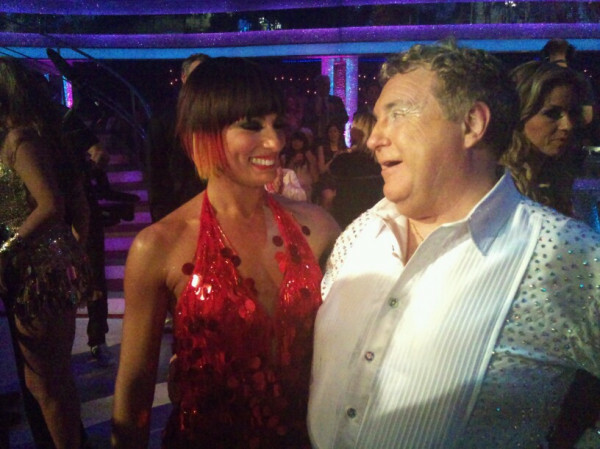 Today we're going to be taking a look at Russell Grant and Flavia Cacace's AND Audley Harrison and Natalie Lowe's EXCLUSIVE rehearsal video! 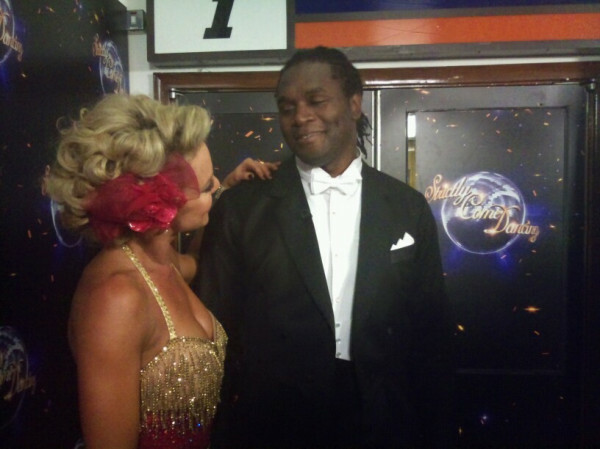 The team of Audley and Natalie already pack a punch, but will they knockout everyone with their silky steps? Meanwhile, Russell and Flavia were the last pair to be partnered together - was the best saved until last? How do you think Russell and Audley will do on the live show on Friday 30th September? Do you need a mid-week boost? Well, you're in luck as we have Edwina Currie's EXCLUSIVE teaser trailer that will air on BBC One on Thursday 29th September. Only two more sleeps until the first live show! Who are you most looking forward to seeing? It's Holly-Day! Well, it's Holly Valance and Artem Chigvintsev day to be precise. Artem has been taking Holly through the steps for their debut performance this weekend, but do you think they will have this 'patch work quilt' together by show time? Watch the clip and let us know how you think they are getting on. Here at Strictly HQ we are getting rather excited about seeing the couples dance LIVE this weekend - just to get you in the mood, we have cheeky teaser trailer featuring Harry Judd. Enjoy! Let's kick off the afternoon with an EXCLUSIVE rehearsal clip! Our dancing couple today are Alex Jones and James Jordan. These two were thrilled to be paired together at the launch show, and since then they have been hitting the training room in preparation for their first live dance on Friday 30th September. How do you think Alex and James are getting on? We have a tea time treat for you today! Not only is it an EXCLUSIVE, but we get to find out what really scares Audley! This trailer will air on Tuesday 27th September on BBC One. With just four days to go until Strictly returns to our screens what more could you want than another EXCLUSIVE rehearsal diary from Harry Judd and Aliona Vilani! We thought you might like another EXCLUSIVE teaser trailer to help your Sunday along! Here's a sneak preview of Chelsee's lovely new trailer, which you can also catch a glimpse of on Monday 26th September on BBC One. Welcome to the weekend. Just to make sure you don't miss out, we have another EXCLUSIVE teaser trailer for you! Have a look and see how Holly's getting on and remember to look out for the trailer on BBC One on Sunday 25th September. This week has been full of online exclusives! Each day we have dedicated the Strictly homepage to one of our couples, and given you a sneaky peak at their rehearsals. We've seen Anita practicing in her L-plates for the ultimate driving test, dancing LIVE with Robin - but will she get any minors from the judges or pass with flying colours? Ola has been finding out if Robbie has two left feet, from seeing his video we can confirm that Robbie has some moves! Dan and Katya have been hitting the training room as well; Katya has been teaching Dan how to glide in the Waltz. Another pair we've seen training this week are Nancy and Anton - they will certainly be turning up the heat come show night, but how do you think they are shaping up in rehearsals? Our final couple this week were Chelsee and Pasha. This feisty duo have been getting dizzy learning to Waltz, but will they leave the crowd spinning for all the right reasons? You can catch up with all the action from this week below, but don't forget you can still see the videos from last week on our first week rehearsal blog post. We have plenty more exclusives for you next week, so remember to stop by the Strictly site everyday to see how our featured couple are getting on. Is it Friday already? Then it must be time for another EXCLUSIVE teaser trailer! It's Lulu's turn today - and don't forget - you can look out for the trailer on BBC One on Saturday 24th September. 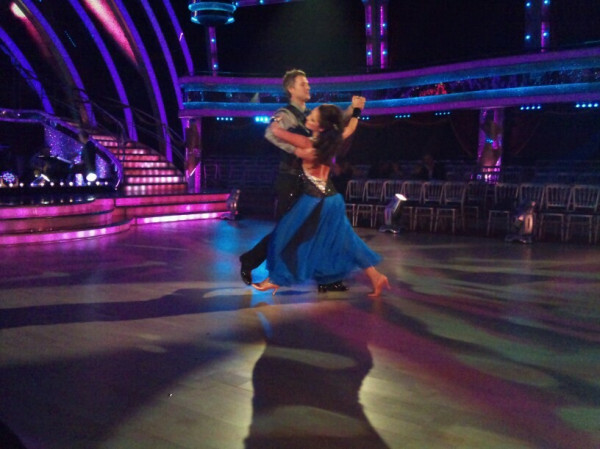 Today we have an EXCLUSIVE rehearsal diary from Chelsee Healey and Pasha Kovalev! After being matched together at the launch show, this dancing duo have been making fantastic progress in the training room, getting dizzy learning the Waltz. As it's Thursday and we like you, here is another EXCLUSIVE teaser trailer! This time it's Jason Donovan's teaser that goes out on BBC One on Friday 23rd September - remember you saw it here first! Bellissimo! It's Nancy Dell'Olio and Anton Du Beke's time to shine in their EXCLUSIVE rehearsal video! These two are certainly going to turn up the heat on the dance floor, but do you think this feisty duo will impress the judges? So all week we've been publishing exclusive trailers online a whole day before you get to see them on TV. And today is no exception! Take a look at Nancy's 2011 teaser trailer and then see if you can spot it on BBC One on Thursday 22nd September. We have a mid-week treat for you today; it's Dan Lobb and Katya Virshilas's EXCLUSIVE rehearsal video! We'd love to hear your team name suggestions for Dan and Katya, so leave a comment and yours could be selected as the official team name for the run. We just can't stop offering you exclusives! Today it's over to Russell's 2011 teaser trailer, which you get to watch a whole day before it appears on TV. Don't forget to look out for it on Wednesday 21st September on BBC One. And you can also check out the other exclusive trailers we've already put up online for your perusal. Well, well, well, look who we have an EXCLUSIVE rehearsal video of today - it's Robbie Savage and Ola Jordan. This golden duo are dancing the Cha Cha Cha on the live show on Friday 30th September, and from looking at the rehearsal footage it's safe to say they are serious about impressing the judges! We'd love to hear your team name suggestions for Robbie and Ola, so leave a comment and yours could be selected as the official team name for the run. Hopefully you're enjoying all of the exclusive videos coming your way. This time it's Alex's 2011 teaser trailer, which you'll be able to watch on Tuesday 20th September on BBC One. Remember - you saw it here first! Another week, another EXCLUSIVE training video! Our couple today are Anita Dobson and Robin Windsor. In just under two weeks we will see this pair dancing live in front of the judges, but will Anita still be wearing her L-plates? Week 1 - Who's dancing on what day? The first live shows are fast appraoching and we can now reveal to all you Strictly fans the line up for each night. Please note the running order has yet to be confirmed. The celebrities have been listed above in alphabetical order. 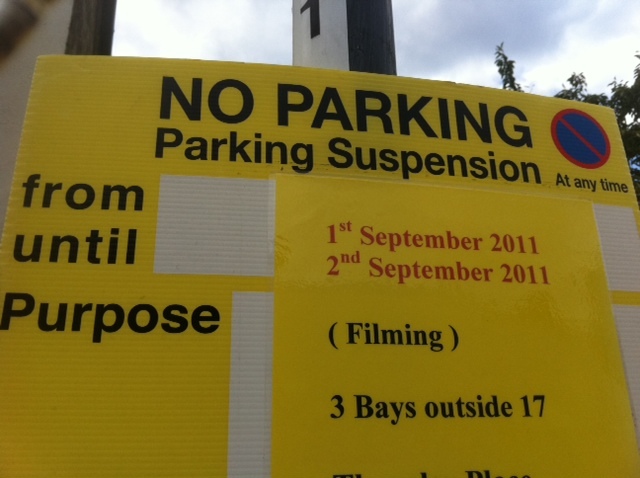 Make sure you look out for Dan's 2011 teaser trailer on Monday 19th September on BBC One. Of course, we can give you an exclusive look at it before that time. 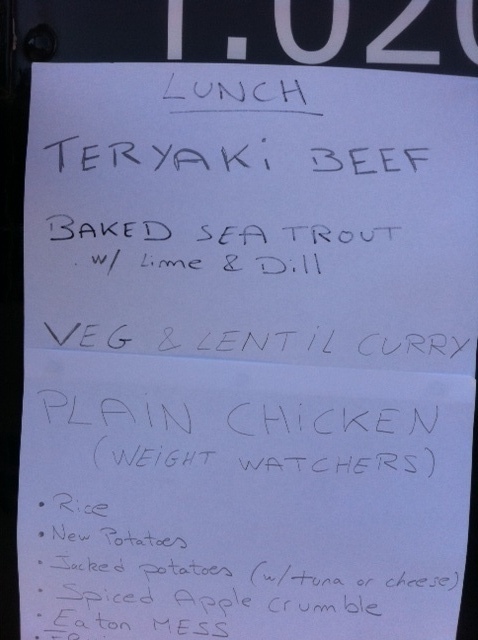 We're all about the exclusives here at Strictly Come Dancing HQ and here is another one. 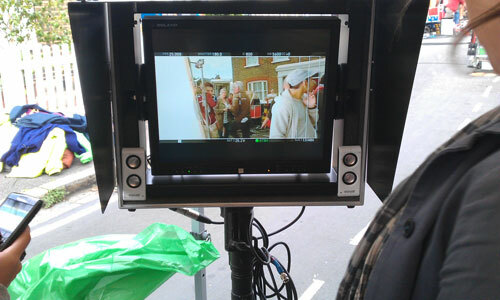 A preview of Rory's 2011 teaser trailer that is due to air tomorrow on BBC One. Well, what a week it's been... Our couples have knuckled down to some serious training and everyone is waiting patiently to see whether there will be tantrums and tiaras on the dancefloor this year! Over the last week we've been dedicating every day to a different Strictly couple as we unveil exclusive footage of their first training sessions. Will Brendan be as hard on Lulu as she is on herself? What were Erin's first impressions of Rory's routine? Will Vincent's charms prove too much of a distraction for Edwina? And will Jason's perfectionist ways make him star pupil with Kristina? There's only one way to find out - have a little look below! And remember, there's plenty more exclusive footage to come in the run up to the first competitive show, so who will be next? Make sure you check back every day next week to find out. So how do you think our couples are shaping up? Let us know by posting a message below. In the build up to the first live shows for Strictly Come Dancing 2011, the couples have taken time out of their busy rehearsal schedules to film their 15 second teaser trailers that will be broadcast on BBC One over the next two weeks. However, we will have a daily treat for all you Strictly fans. An exclusive preview of each trailer, 24 hours before they air on teleivision! First up. Anita Dobson and Robin Windsor. Enjoy! Not only is it Friday, but we have another EXCLUSIVE rehearsal video for you! So far this week we've seen Lulu, Rory and Edwina make some shapes in training, but now it's Jason Donovan and Kristina Rihanoff's chance to show off their skills. Learning the Cha Cha Cha can be a tricky business, but these two certainly look like they're making good progress! How do you think Jason is getting on? Also, don't forget to let us know your team name suggestions! We're into the third day of our exclusive training videos. Today it's the turn of Edwina Currie and Vincent Simone, although Edwina thought she had bagged Artem during the Launch show. Will the former MP be as attached to Vincent as she was to Artem? And will Vincent be able to Cha Cha change Edwina into a dancing machine? Let us know what you think of Edwina and Vincent? And do you have any team name suggestions? We have another EXCLUSIVE rehearsal diary for you, today it's Rory Bremner and Erin Boag's turn to practice their moves on the dance floor! Rory and Erin were thrilled to be paired together on the launch show, and it looks like they are making great progress learning the Waltz. What do you think of our dancing duo? Also, don't forget to let us know your team name suggestions! So, we all found out who the couples were on the Strictly Launch show - there was suspense, intrigue, and even a group dance involving the class of Strictly 2011. But now, the hard work really starts. The couples will hit the dancefloor in 17 days but they're already in training. Each day we'll be taking a look at a celebrity and their dance partner to see how they're getting on. First up, it's Lulu and Brendan Cole - will there be any more surprise lifts? And will we have something to Shout about come Friday 30th September? What do you think of Brendan and Lulu? Leave your comments below. The Strictly Come Dancing celebs have been mighty busy, with the launch show, learning routines and filming a brand new trailer for the 2011 series, starting on Friday 30th September and Saturday 1st October. Not only do we have the trailer itself that you can watch below, but we also have an exclusive look at how it all came together. 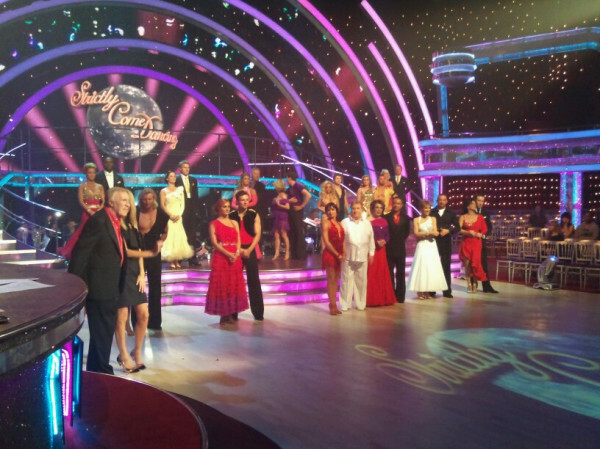 So get yourself in the Strictly mood and get all the gossip by going behind the scenes. Len's Dance Clinic open to new patients! So, the countdown is finally over - the celebs have been revealed and partnered with their Strictly pros... all that remains is for you to get your dancing shoes on too! But wait - are you having trouble with a pesky paso?... Desperate to tackle the technicalities of the tango?... Or maybe you just need some tips on how to put some sizzle in your samba?... That's what Len's here for! Yes, that's right, head judge and ballroom favourite Len Goodman joins Zoe Ball on the It Takes Two couch soon for a whole new session of Len's Dance Clinic and he cannot wait to get started with his dancing diagnosis. You can get in touch however you like - by posting your questions on the comments feed below, by putting a message on Facebook or you can send your comments and videos to ittakestwo@bbc.co.uk. 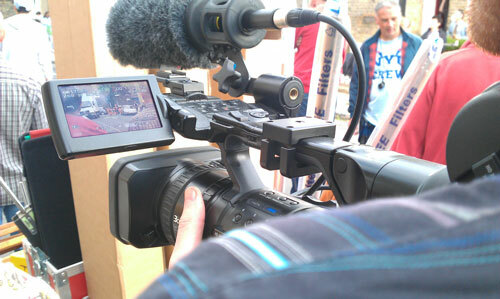 If you're one of the lucky ones, our lovely team of assistants may even be in touch soon to film your dancing ailments. Don't forget to tune into It Takes Two weeknights at 6.30pm live on BBC2 from the 3rd of October. And remember - the more unusual the dancing dilemma the better. Don't be afraid - there's no problem too big or too small for Len! Strictly Come Dancing is back, and bigger than ever before. Saturday night saw the exhilirating red carpet launch show from TV Centre in which the 14 celebrities were finally paired up with their professional dancer. After the show, we caught up with the new 2011 couples for their first reactions to the exciting news. You can watch these exclusive thoughts in the video below! And finally, why not share your own first reactions to all this news with the nation by leaving a comment below. Perhaps you have an idea for a team name or maybe there was a shock reveal in the show. Whatever your burning issue is, get involved with the Strictly discussion. 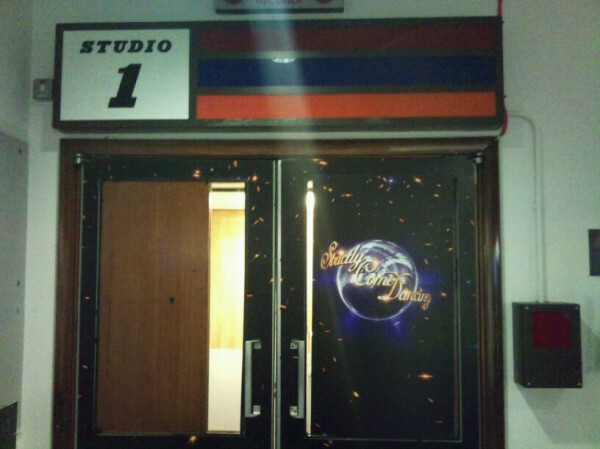 Strictly HQ in Television Centre has been buzzing all day! Not only has the red carpet been rolled out for our Strictly contestants, but we've seen the Queen of Country, Dolly Parton and her lovely band at the stage door. You can watch the launch show on BBC One at 6.10pm on Saturday 10th September, but until then we have some sneaky snaps of the stars for you! Rope to keep back the superfans! Vincent says 'hello' to the Strictly fans! Papparazzi waiting to see the SCD celebrities. The Strictly judges waiting for the show to start! 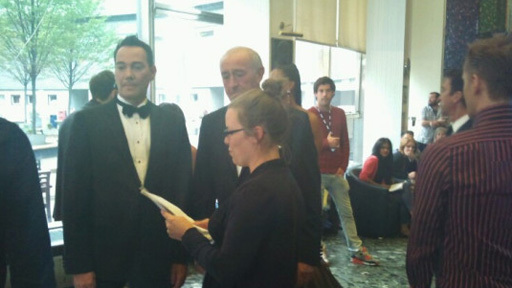 Alesha and Bruno getting ready to hit the red carpet! Kristina and Robin looking picture perfect before the head out onto the red carpet. Anton and Erin are all smiles as they head out! Katya and new professional dancer Pasha. Brendan and Natalie looking gorgeous. James and Ola walking out onto the red carpet. Alex Jones looking lovely in green. Anita Dobson looking lovely in blue. Chelsee Healey looking lovely in silver and blue. Dan Lobb is all smiles as he heads out. Edwina Currie looking smiley as she heads out onto the red carpet. Harry Judd preparing to meet the public! Holly Valance is all sparkles as she heads out! Jason Donovan fixing his tie before he heads out. 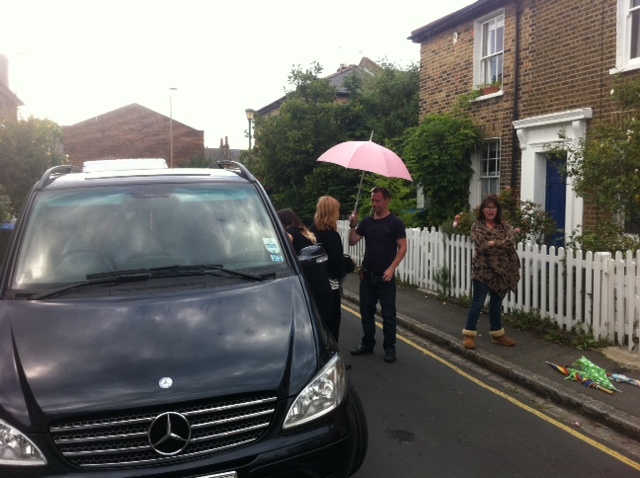 Lulu saying 'hello' to the Strictly fans! Nancy Dell'Olio backstage looking amazing in green. Robbie Savage just as he bolts out onto the red carpet. Rory Bremner looking very showbiz! Russell Grant saying a big 'hello' to all the lovely Stricty fans. The papparazzi checking their photos as the celebs and dancers head into Television Centre. Who are you most looking forward to seeing on the show? After weeks of speculation the Strictly celebs have now been revealed on The One Show – here at Strictly HQ we are so excited that we can hardly tweet! I think we can all agree that the line up is brilliant – but the question is, who are you most looking forward to busting some moves on the dance floor? Do you think it’s written in the stars for Russell Grant, or are you going to be shouting for Lulu? Have your say by commenting below. If you just can’t wait to get to know our Strictly starlets better, you can watch exclusive interviews with all the contestants in our video gallery. Also, don’t forget to tune into BBC One at 6.10pm on Saturday 10th September to watch the red carpet launch show. All 14 of our stars will be paired with their professional partners and take to the floor for the first time – there is also an exclusive performance from Queen of Country herself, Dolly Parton. You should have seen by now that there's a lot of buzz about the 14 celebrities that will be forgetting about their day job and aiming to be Strictly Champ 2011! But even though they haven't been strutting their funky stuff yet, it doesn't mean they haven't been hard at work. 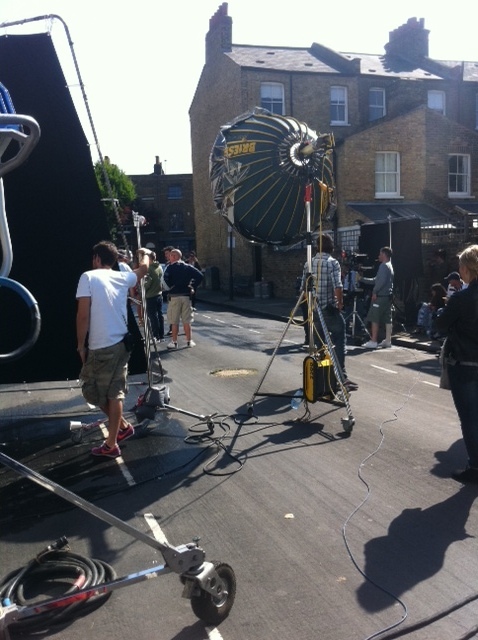 Last week, the chosen ones headed down to an area in South London to film the Strictly 2011 trailer. They learnt some steps, threw on some jazzy clothes and posed for the camera. 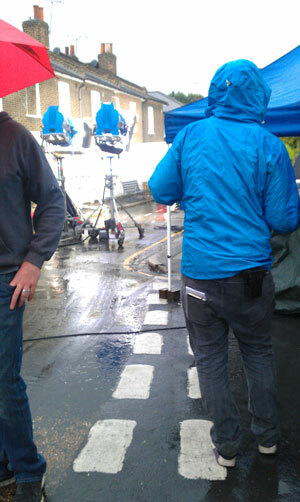 We were lucky enough to get a couple of teaser pics for you...you're welcome! Wow! 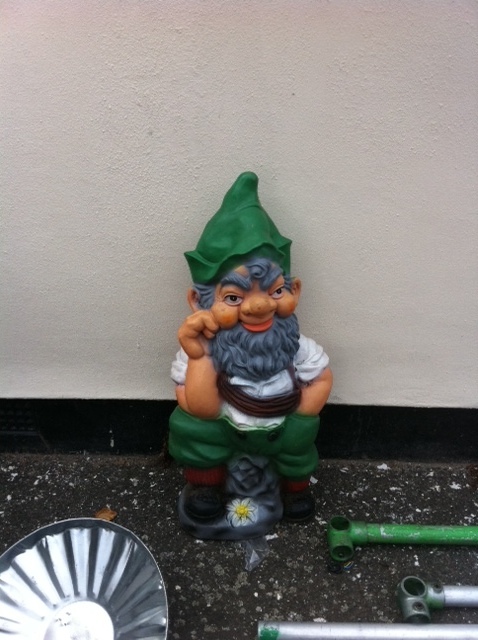 One of the celeb dancers...oh gnome it isn't! 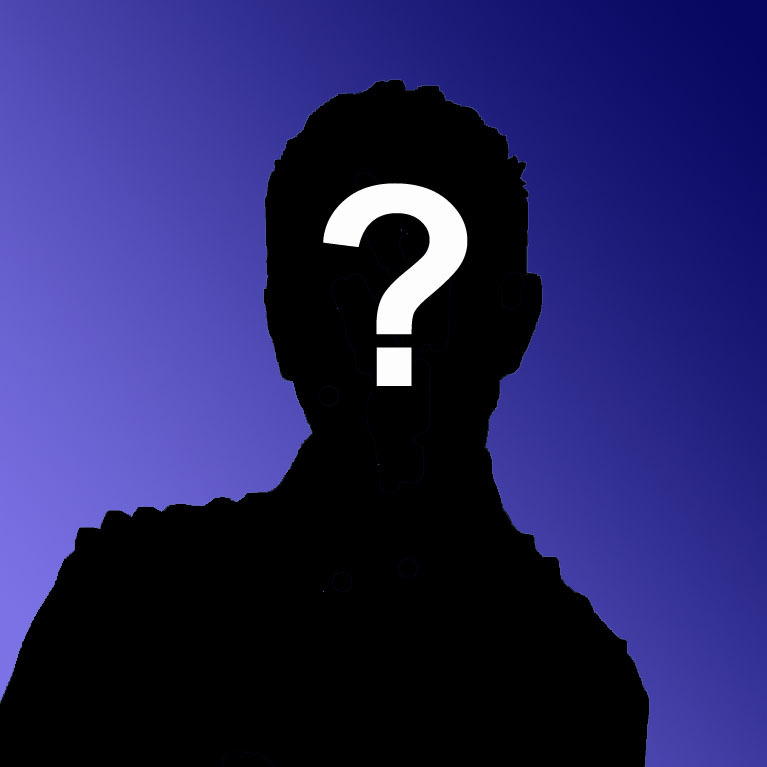 An actual celeb - can you guess who? Pictures aside, the only way for you to be 100% sure of who the Strictly 2011 celebs are is to watch The One Show, tonight at 7pm on BBC One when they will all announced, exclusively. The Strictly Come Dancing launch show is just around the corner and with that in mind, we at SCD-HQ have been wondering who would be in YOUR fantasy Strictly line-up? Would you like to see Obama hit the SCD dancefloor, Tutankhamen Tango or have a music mania line-up with bopping Beethoven, Madonna attempting the mash potato or Elvis shake those snaking hips? The fantasy world of Strictly is your oyster so get involved and share you thoughts with the nation below! We’ve got our work cut out if we’re going to out-do last year’s success. Who could forget the nail-biting final, the themed specials, our live show from Blackpool, and, of course, ‘Starship Widdecombe’? But, arguably, the most memorable moment was when a tearful Artem and Kara were crowned as the Strictly 2010 Champions. New boy Artem and sensational Kara demonstrated they were a great dance duo with a series average judges’ score of just under 36/40. Statisfaction guaranteed! Of course Strictly’s success couldn’t have been achieved without you, our most dedicated Strictly fans. 15 million people watched the last series, and many of you have joined the Strictly party via Twitter and Facebook, and of course, this News Blog. And for that, we thank you. You’ll find out all the latest (official) news from us, including the first look at the celebs from the upcoming series, in the next few days. Make sure you don’t miss a thing by signing up for our weekly newsletter. In the mean time, sit back, relax and revel in last year’s spectacular in this exclusive video clip.